The original picture you insert in a Word document is just a starting point; you can modify that picture in a variety of ways to create special effects and to improve the picture’s appearance. For example, you can adjust the picture’s brightness and contrast, apply a color wash to it, and/or apply artistic effects to the picture that give it interesting new looks, such as making a photo look like a pencil sketch or a watercolor painting. Brightness refers to the overall lightness or darkness of the image, whereas contrast refers to the difference between the light and dark areas of a picture. 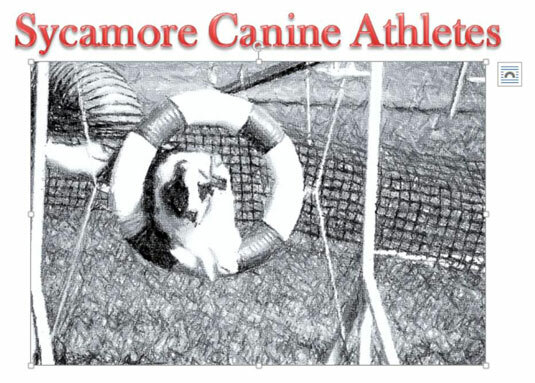 If a photo suffers from being too light or too dark, you can make adjustments in Word that may help it. If a picture looks washed-out and faded, increasing its contrast may enhance it. You can also choose to sharpen or soften an image. 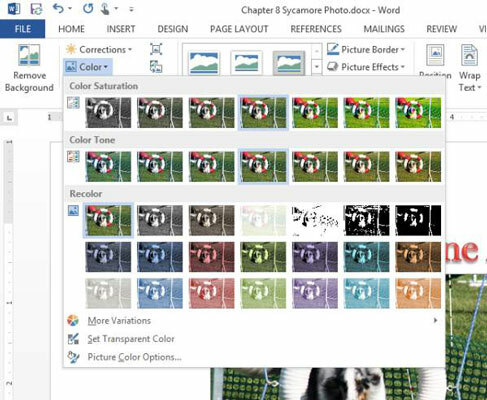 In Word, open the document containing a picture to edit. 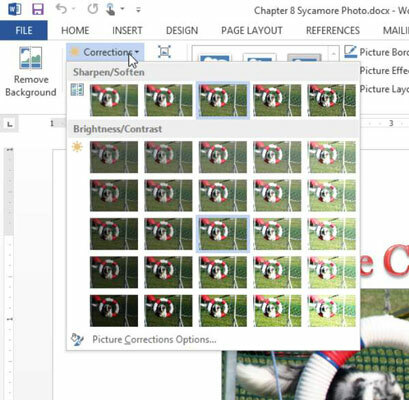 Select the photo and then choose Picture Tools Format→Corrections to open a menu of samples. Point the mouse at several of the samples and observe the preview on the picture; then in the Brightness and Contrast section, choose the Brightness appropriate for you. If you need to, click the Corrections button again to reopen the menu and in the Sharpen/Soften section, click what works for you. You can make adjustments — subtle or dramatic — to a picture’s colors from within Word. You can adjust the color saturation and the color tone. The color tone is described by “temperature” in Office applications, with lower numbers being more blue (think: frozen) and higher numbers being more orange (think: heated like a flame). For example, a strongly blue tone would be 4700K, and a strongly orange tone would be 11200K. You can also make an image grayscale or black-and-white, or apply a color wash, which makes the image monochrome (like grayscale) but with some other color than gray. Color saturation is the vividness of the color. Color tone is the subtle change in the tint of the image (red, green, or blue). Color wash is an effect that changes an image to a monochrome version with the chosen color as the single color that comprises it. In your document, select the picture if it’s not already selected. A palette of color change options appears. Point to several of the options, and observe their effect on the image behind the open menu; then in the Color Tone section on the Color button’s menu, choose which one you like best. If you would like a monochromatic image, click the Color button again, and in the Recolor section of its menu, choose a color. The picture appears as a monochrome image in the color you picked. To return the image to multicolor, click the Color button again, and in the Recolor section of its menu, click the full-color sample (No Recolor). Many effects are designed to make a photograph appear as if it were drawn or painted by an artist. 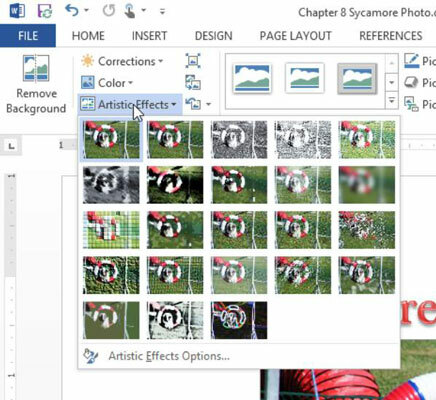 Choose Picture Tools Format→Artistic Effects. A palette of effect options appears. Point at several effects to see them applied to the image and then choose your favorite.